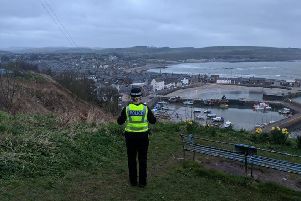 Police have charged a 39 year-old man following a report of hare coursing on a farm in the Inverbervie area on Sunday, March 5. The incident allegedly involved two dogs and resulted in the death of an unknown number of hares. Local Policing Inspector for Kincardine and Mearns, Inspector Sheila McDerment, said: “Hare coursing causes significant suffering to animals in the guise of sport and we will fully investigate all reports received.